Strength training is an important component of run training. Incorporation of strength work leads to a reduced risk of injury and increased muscular endurance. Strength training does not always need to include weights and can easily be accomplished anywhere. Here are a few great ‘no equipment required’ strength moves to get started with. There are many variations on the plank, but the standard plank is a fantastic strength exercise for the abdominals and the whole body. Start in the prone (face down) position on the floor, supporting your weight on your toes and your forearms. Your arms are bent and directly below the shoulder. Keep your body straight at all times and hold this position as long as possible. To increase difficulty an arm or leg can be raised. The side plank works obliques, abdominals, back and hips. Adding the leg raise targets the hip extensors. Lie on your right side with your legs straight. Prop yourself up with your right forearm so your body forms a diagonal line. Rest your left hand on your hip. Keeping your left leg straight, raise it up as high as you can, keeping your toe pointed towards the ground. Return to starting position and repeat 4 to 8 times over the 60 seconds. If you can’t make it to 60 seconds, hold for 5 to 10 seconds and rest for 5, continue for 1 minute. Be sure your hips and knees stay off the floor. Pushups are a great upper body strength move, targeting the chest, shoulders and triceps. Lie on the floor face down and place your hands on the floor, slightly wider than shoulder width while holding your torso up at arms length. Next, lower yourself downward until your chest almost touches the floor as you inhale. Now breathe out and press your upper body back up to the starting position while squeezing your chest. After a brief pause at the top contracted position, you can begin to lower yourself downward again for as many repetitions as needed. Leg raises not only work on strengthening the lower abdonminals, but also teach you to disengage your low back muscles. Lie with your back flat on the floor with legs extended in front of you. Place your arms at your sides, palms down. As you keep your legs extended, straight as possible with your knees slightly bent but locked raise your legs until they make a 90 degree angle with the floor. Exhale as you perform this portion of the movement and hold the contraction at the top for a second. Now, as you inhale, slowly lower your legs back to the starting position. 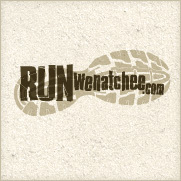 Sarah Barkley is a pro triathlete and coach at SET Coaching of Wenatchee. To reach Sarah, email her at sarah@setcoaching.com.